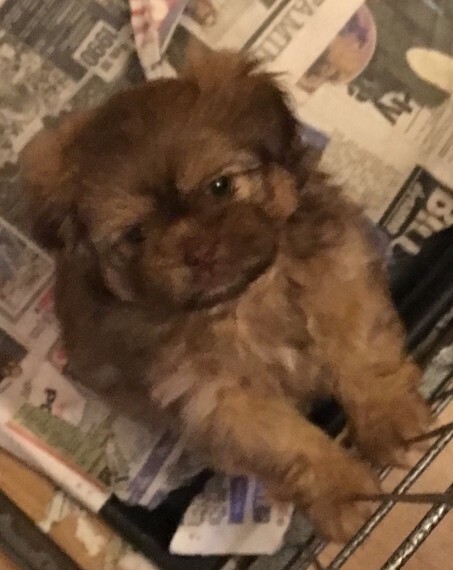 STUNNINGLY GORGEOUS LITTLE GIRL SHIH ZHU LOOKING FOR HER FOREVER HOME .... SHE IS READY TO LEAVE NOW. PLEASE DO NOT ASK FOR ANY PICS TO BE SENT AS ALL PICS ARE UPDATED HERE.. PICS TAKEN ON 6 APRIL .. SHE IS WORMED TO DATE FLEAD TO DATE PAD.PAPER TRAINED DOING VERY WELL.. SOCIALISED VERY PLAYFULL AND USED TO EVERYDAY HOUSEHOLD NOISES HOOVER.WASHING MACHINE AND ANY OTHER NOISE VERY RELAXED AND CHILLED BUT LOVES TO PLAY WITH TOYS HANDLED DAILY SINCE BIRTH BY BOTH ADULTS AND 3.GRANDCHILDREN MAKING THEM BOMB PROOF BEFORE THEY LEAVE FOR THERE FOREVER LOVING HOMES .PLEASE NOTE PUPPIE IS FOR PET HOME ONLY SO WILL NOT COME WITH ANY PAPERS... CALLS ONLY OR TEXT ... WITHHELD AND PRIVATE NOS WILL NOT BE ANSWERED... GENUINE INTEREST ONLY.. THANK YOU.